Love your balloons and how you let them be balloons. Creativity is often nothing more than feeling your way forward, isn’t it? Arches hot press is very good watercolor paper. My mom the fine artist Prefers it. Enjoy your spree! I believe you that goofing around is better than trying hard. 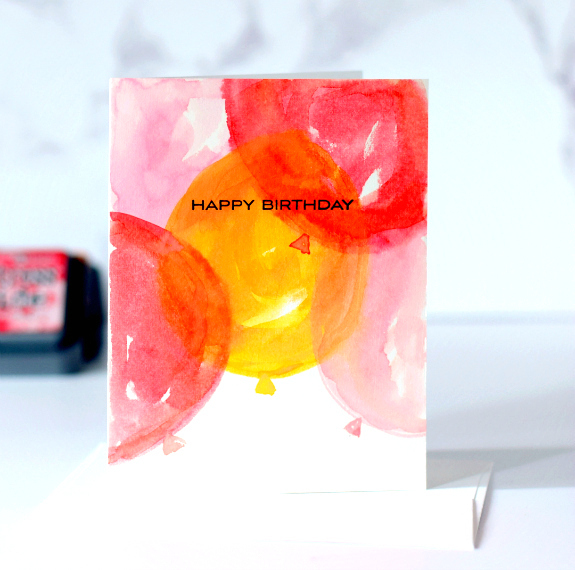 These balloons look just the way I'd like my watercoloring to look. What a beautiful card! I also loved your column at right at home you recently wrote. Your stories are so powerful. I have cried before reading them, and I save them for times I have a moment to reflect, because I feel I can learn something from you and your stories. 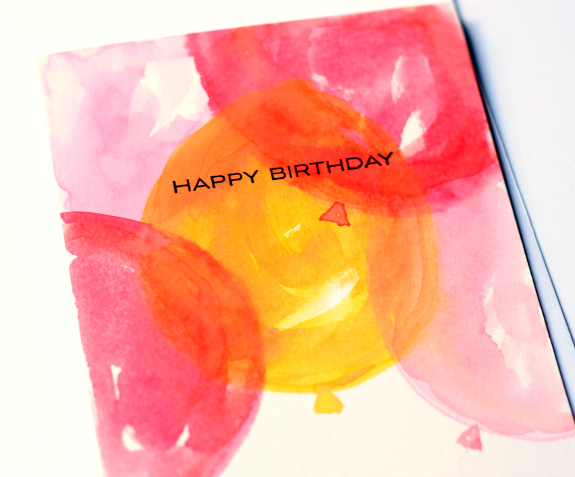 You are a powerful writer and a wonderful, inspiring card maker. Thank you for sharing both talents! Absolutely fun! Love your "loose" balloon coloring, and so happy you had fun! I love it when you cut loose, Joan! These balloons are fabulous... go splurge - you've earned it!! Tell us about living in Belgium! Love this! I love that your circles told you they wanted to be balloons and you went with it. I believe watercoloring can be a cure for folks who are rigid... if they want to be less rigid. Watercoloring is surely teaching me some life lessons. I hope your trip to the art store is fun. What a wonderful card and lesson for us. Thanks! Totally awesome balloons! LOVE them!